I saw these fittings to make a cupcake stand on Ebay, they were so cheap I thought I had to give it a go. 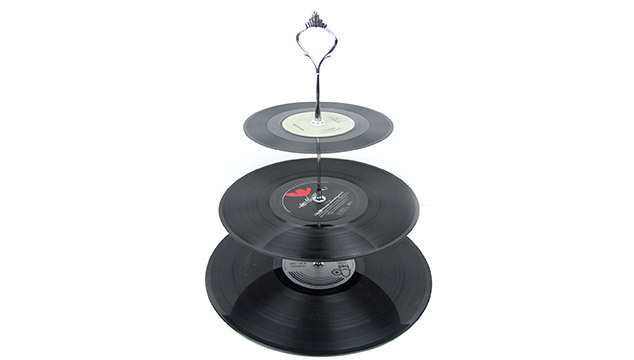 I’ve seen other DIY cake stands made from different sized old plates from charity shops but didn’t fancy drilling holes in them in case they shattered. 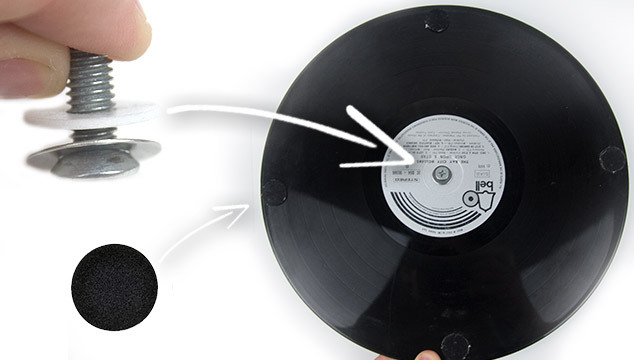 I have linked below to the different sized vinyl’s I used in my stand that are available on Ebay but I found my records in charity shops. Looking in charity shops is the best place to start looking for your different sized vinyls before going online as they are incredibly cheap, especially as you arent worrying about what music is on it or the condition. 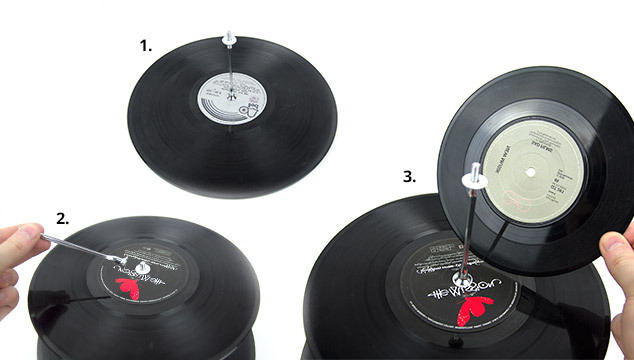 To make this stand you will need to find a 7′, 10′ and 12′ vinyl. Alternatively you can have some layers of the stand the same size or all of them but I prefer them all to be different and go up in size order. 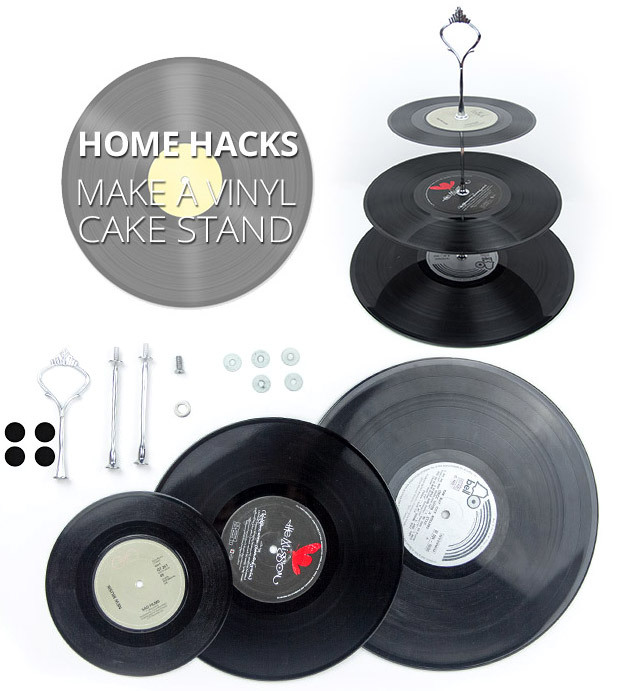 As the records already have a hole in the middle it is very easy to screw in the sections of the cake stand fitting but there are pictures to show you how. To protect your furniture surfaces I recommend sticking at least 4 Furniture Protective Felt Pads to the bottom of the stand. This gives it a little more weight and stability. It isn’t the strongest cupcake stand but supports lots of cupcakes. In between my baking days I use it as storage for bits of jewellery and make up on my dressing table and it looks really cool. I hope you’ve liked my DIY Home post, if you would like to see more of my DIY projects you can find them here, I’m hoping to do more posts like this in the future so let me know if you would like to see more posts like this. Next Post Met Gala 2014 Round Up: The Good, The Bad and the what was Kristen wearing.